The process of SMP involves analyzing a clients existing hair color, shape and growth pattern. A skilled technician will then use a tiny needle to embed matching ink into the scalp so that an entire head looks like it has an all around buzz cut. It won’t looks like he’s going bald anymore, instead it will seem as though you have chosen to wear your hair short. What other names does Scalp Micropigmentation go by? SMP is also known as a Scalp Tattoo, Hair Tattoo, 3D Scalp Micropigmentation, HD SMP, SMP, Tricopigmentation, hair replication and balding tattoo. Irregardless of the name, the treatment is the same and the proper application calls for a substantial degree of experience and skill. How Can Scalp Micropigmentation Help Me? Hair Thinning can easily be solved using HD SMP. It’s the best option for thinning hair on the planet. Matching color pigment is embedded into the scalp in the same pattern as your existing hair growth, focusing on the thinning areas. Similar to permanent eyebrows, the procedure will create the illusion of a thicker full head of hair. Hair Transplant Scars can be camouflaged using Scalp micropigmentation. Experienced technicians will analyze your hair color, shape, and growth pattern then embed matching pigment into the scar so that it blends seamlessly with the rest of your hair. Scars can be concealed in as little as 1 treatment. What alternative treatments are there to Scalp Micropigmentation? Surgical – Hair Transplants, FUE. What skin colors will benefit most from SMP? Every ethnicity can benefit from scalp micropigmentation including: Caucasian, Asian, Latino, Black, and Indian. Baldness does not discriminate based on your race and neither does the SMP treatment. Some lesser experienced clinics might tell you that scalp micropigmentation looks better on black or darker skinned people, which is totally not the case. If done properly your SMP treatment should be 100% undetectable and stand up to even the closest scrutiny irregardless of your skin color. What are the side effects of Scalp Micropigmentation? In some cases, immediately after the treatment there may be redness or slight sensitivity to your scalp. This will dissipate within 24 hours and you can carry on with your normal daily activities. There is no downtime or long term side effects to worry about. What are the differences between Scalp Micropigmentation and a Tattoo? Tattoos are performed by using a shading technique. A true SMP artist will NEVER shade your head, instead tiny dots will be embedded into your scalp to match your existing hair buds. Tattoo needles go deep into the dermal layers of your scalp. SMP if properly done will be inserted into the epidermal layers of your scalp creating a crisp and clear dot matching exactly with your hair follicle. Tattoo equipment is more abrasive and less precise in addition, techniques and procedures are different than those of an experienced scalp micropigmentation practitioner. SMP should last 10-20 years if cared for properly. Using the correct moisturizer and protecting your head from exposure to harsh elements will go a long way in preserving your results, and keeping your head looking fresh. Although the pain threshold of each individual will vary, a local anaesthics is applied to the head prior to the SMP procedure in order to minimize any discomfort. Many patients who have had the treatment describe the sensation as getting multiple mosquito bites. From as low as $500 to as high as $5,000! It’s a very wide range, and it depends on the level of hair loss and the amount of time it will take the technician to treat you. Most men with male pattern baldness will fall into the $2500 – $3500 range. Who is the best clinic for Scalp Micropigmentation in Canada? Although there are many choices to consider, HeadPower Hair Clinic in Toronto is consistently rated the best in service, quality and experience. Who is the best clinic for Scalp Micropigmentation in United States? Since the process of SMP can be completed in as little as 2 sessions and last a lifetime, it’s better to get the treatment done at place that is known for consistently turning out world class results. HeadPower constantly ranks highest in Scalp micropigmentation by industry peers and conveniently offer travel destination packages to Toronto for clients located in the United States and abroad. 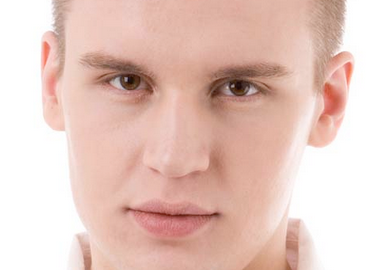 Can you fix a bad Scalp Micropigmentation treatment from un-experienced clinic? We are constantly contacted by clients who have had a bad treatment from a tattoo parlour, or an inexperienced provider. In most cases we can fix the bad treatment so that it looks almost perfect. In ot her cases getting the treatment lasered off may be the best option before starting again fresh. How can I get Trained and learn Scalp Micropigmentation? SMP Training is offered by HeadPower Hair Clinic. They provide a classroom training environment or convenient one-on-one training allowing students to learn the art and science of Scalp micropigmentation to either become an entrepreneur and start their own business, or to work for an established SMP clinic. Can I start my own Scalp Micro-pigmentaton Clinic? Yes you can. After successfully completing the HeadPower SMP Training program you will have the certification and confidence necessary to begin taking on clients from day one. How can I contact a Scalp Micropigmentation expert? 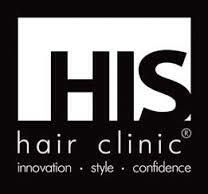 You can call HeadPower Hair Clinic: 1-888-977-6275. We’re available now to answer any questions and to help you book your free consultation. HIS Hair Clinic is closing down operations which leaves customers with less options to choose from. Why are they going out of business, and where is the proof? The link can be found here: https://www.thegazette.co.uk/notice/2444301/ – The company are now in the final phases of liquidating all of their available assets. If you have a warranty, or still have treatments left to complete contact us today. HeadPower Hair Clinic is the best scap micropigmentation clinic in Toronto. 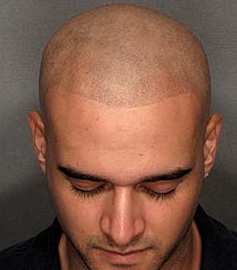 They provide clients with a customized and personalized scalp micropigmentation treatment. SMP is the cure for hairlosss of any form including; male pattern baldness, and hairloss as a result of medical conditions. SMP can also help to camouflage scars on the head caused by hair transplants and other surgeries. There are other Hair Clinics in Toronto, but HeadPower is the largest and best clinic with the most experience and training in Scalp micropigmentation. Balding or suffering from any form of hairloss? 5 Easy Steps to becoming a Trained and Certified Scalp Micro-pigmentation Technician. 1. Do you want to learn Scalp micro-pigmentation online, or in class. There are some companies offering online only courses, while some are offering in-class, or both options. Decide which is most convenient, and which will help you learn all that you need to know about SMP so you are fully prepared when you are done your training. HeadPower SMP training program offers a combination of online and in-class training so that students are fully trained on the theory as well as the practical aspects of scalp micropigmentation. 2. You should always register for an approved and accredited training program. You don’t want to spend your hard earned money on a Scalp micro-pigmentation training program that is not recognized by anyone. Taking an approved program like the one HeadPower offers ensures that your certification will be recognized when you are done your training. 3. Does your Training provider includes your Scalp micropigmentation machine? Students enrolled in the Headpower scalp micropigmentation training program will each be provided with their own custom Scalp Tattoo machine. This is the machine they will be using throughout their training, and will be the one they take home with them to work on clients and generate revenue. Any Hair Tattoo training program that does not include the machine in the training cost should be avoided. 4. Make sure that your Scalp Tattoo training provider does not overcharge you on supplies after you’re finished the program. There are some Hair Tattoo companies out there charging $500+ for the supplies needed to treat each client. While treatment prices range from $2000-$5000, there is no reason to be charging students such exorbitant prices. HeadPower Hair Tattoo Training provides students with the supplier information so they can purchase supplies on their own to reduce and minimize their overall cost. 5. What post-training support is offered to graduates of the Scalp Micro-pigmentation training program? This is very important factor, because as a new hair tattoo artist there is a potential to make mistakes. HeadPower scalp micropigmentation training is the only company offering 5 years of support to our students. We want your business to succeed, and we want you to do your best so we will be there for help when you need it.